Well after all the waiting it’s finally here. In the fall of 2014 we were informed by biologists and state officials that Lake Erie’s walleye population had a great hatch. That news filled many of us around the lake with anticipation. Then in the fall of 2015, we were told that Lake Erie had another huge walleye hatch that may even rank in the top 5 the lake had ever seen. When that word hit the excitement reached all time highs. 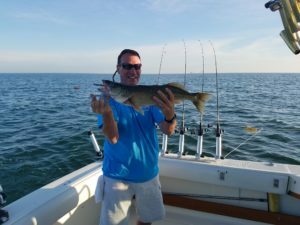 All anglers across Lake Erie could think about was nonstop action leading to coolers filled with Lake Erie gold. All we had to do was wait until all those hungry fish were legal size. Then they’d be ours. A piece of cake, right? But those monstrous hatches became the source of a lot of frustration during the 2016 and 2017 fishing seasons. As the water warmed each year, the majority of the larger walleye would head east to cooler waters after their spring spawning run. Those of us left in the western basin had our work cut out for us. The amount of undersized walleye (fish under the 15 inch legal size) outnumbered the ‘keeper’ fish sometimes by a ratio of 10 or even 15 to 1. In the summer of 2017 it became normal to sort through 100 or more fish in a few hours only to keep 10, sometimes less. But we’re finally at the end of that tunnel. After all the waiting and sorting, those fish from the huge hatches of 2014 and 2015 should all be legal size in the 2018 season. This is the year that makes all those struggles of the last few seasons worth it. All the cuts we got on our hands measuring fish that were a quarter inch short will be forgotten. On most days fast paced action leading to limit catches should be the norm. So, will it be this season be the best ever? That may be a bit of a stretch, but it isn’t out of the realm of possibility. 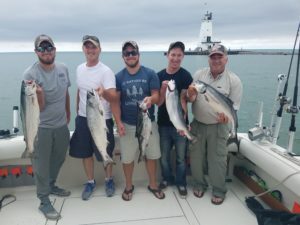 “Lake Erie anglers have hit the lottery with the recent hatches, and we will all reap the benefits for the foreseeable future,” according Travis Hartman who is the Lake Erie Program Administrator with the Ohio Department of Natural Resources. Regardless of where it stacks up against other years one thing is certain. 2018 is poised to be an amazing year on Lake Erie to target walleye. And with a few more decent walleye hatches in 2016 and 2017, the great fishing should be here to stay. Yellow perch in Lake Erie have had a similar story over recent seasons. Several strong hatches in a row have led to a very optimistic outlook for perch anglers. In fact the 2017 season marked the fifth consecutive year that Lake Erie has experienced a good to great yellow perch hatch. While none of those hatches were record breaking, they are certainly enough to ensure that the perch fishery in Lake Erie stays fantastic well into the future. The last few seasons have offered up some awesome perch fishing and that doesn’t seem like it should be changing anytime soon. At a time when Lake Erie seems to get press solely because of fertilizer runoff, algae blooms, and drinking water bans; her bountiful game fish populations seem to be showing us that the lake may not be in as bad of shape as the media has portrayed it to be in recent years. 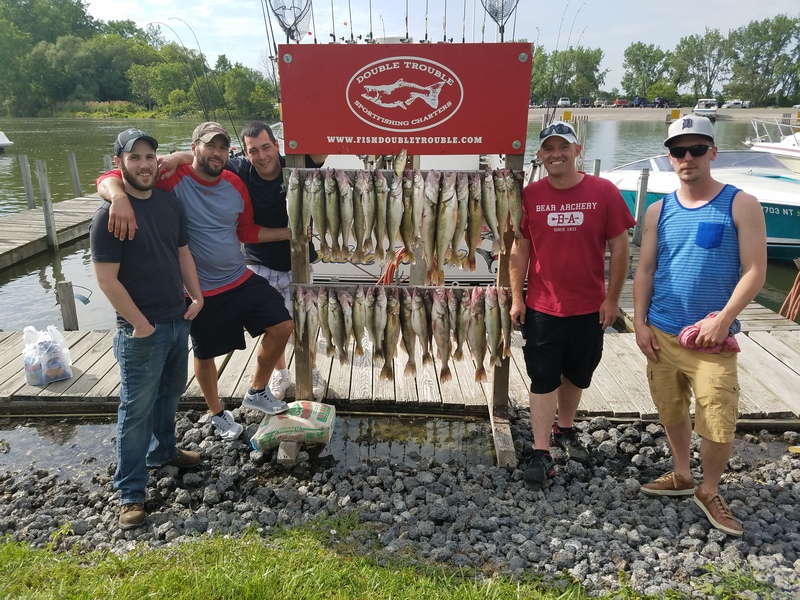 So whether you take your own boat, borrow a boat, charter a boat, or steal a boat, you aren’t going to want to miss out on the amazing walleye and perch fishing that Lake Erie has in store this season.